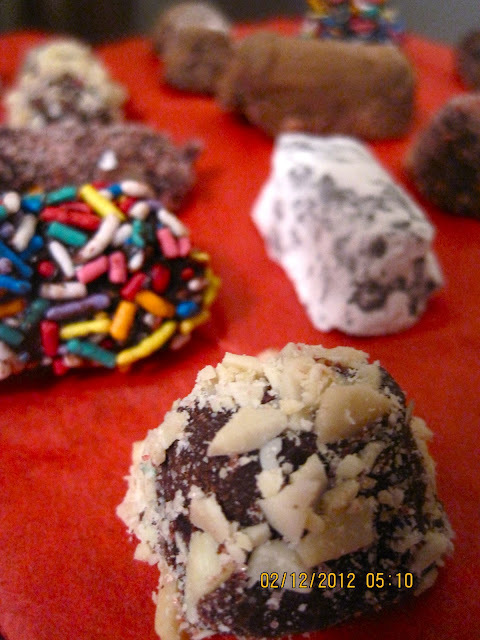 The word "adaptable" defines this recipe. 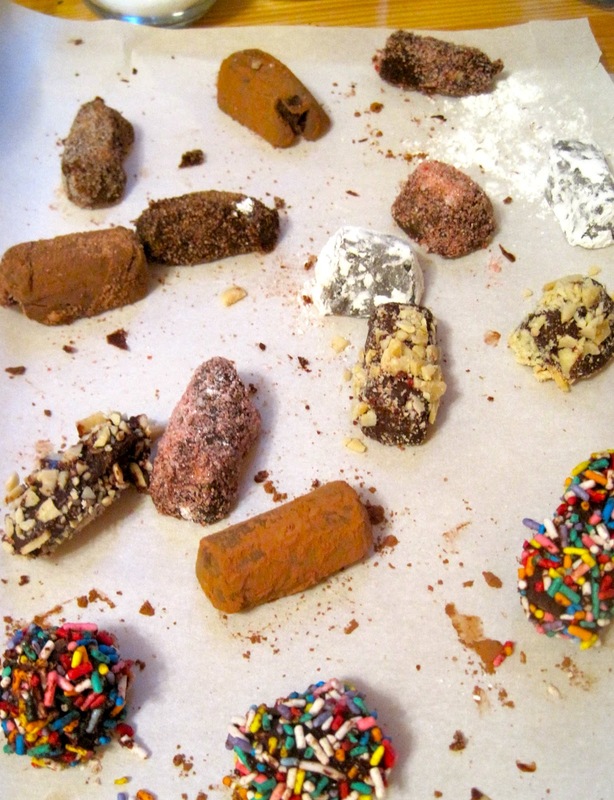 You can add flavored liquor to the chocolate, and roll your truffles in whatever coating you want: dutch chocolate, powdered sugar, cinnamon, chopped nuts, sprinkles. The result is a beautiful mosaic of assorted textures and colors. 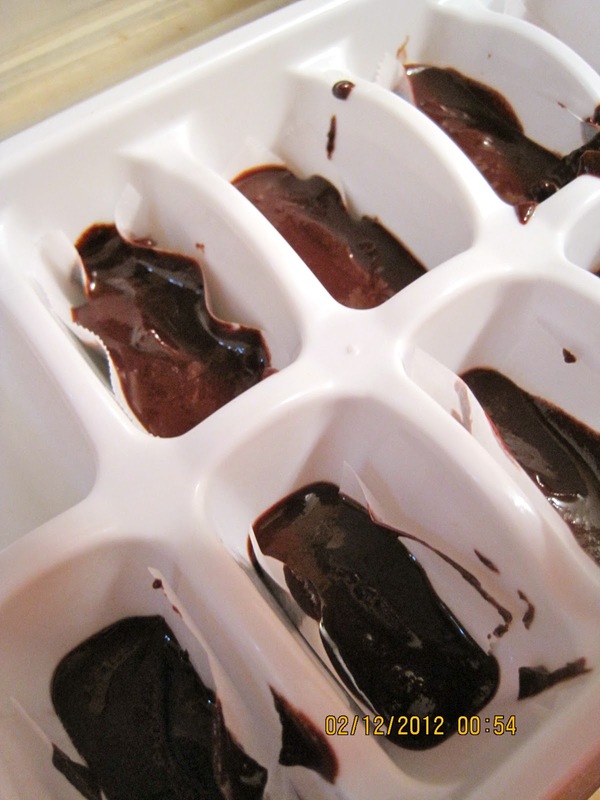 Another fun (and easy) suggestion: to breakaway from the traditional truffle ball, set your ganache in parchment paper-lined ice cube trays to add some squares into the mix. If you do this though, make sure the two ends of the parchment strip are longer than the lining of the tray, so you can tug them up to pull the truffle out of its mold after its been refrigerated. Sorry to hear about your macarons. But those chocolate truffles are amazing. I still have time before V-day, and can make it for my family. Great post! Thank you for sharing. 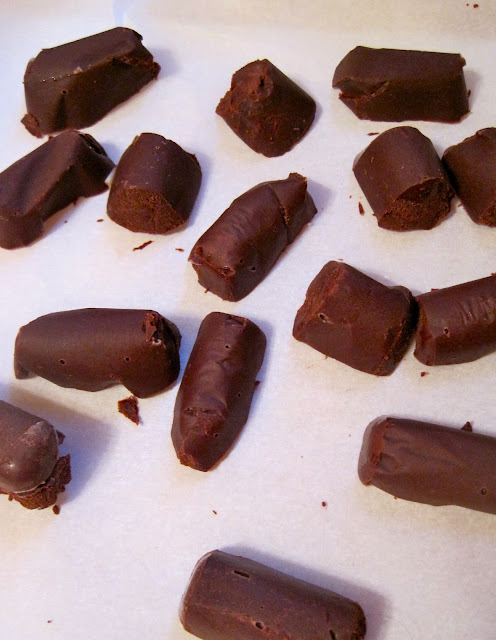 A chocolate enrober will remove all the manual labor involved with hand dipping products into chocolate. 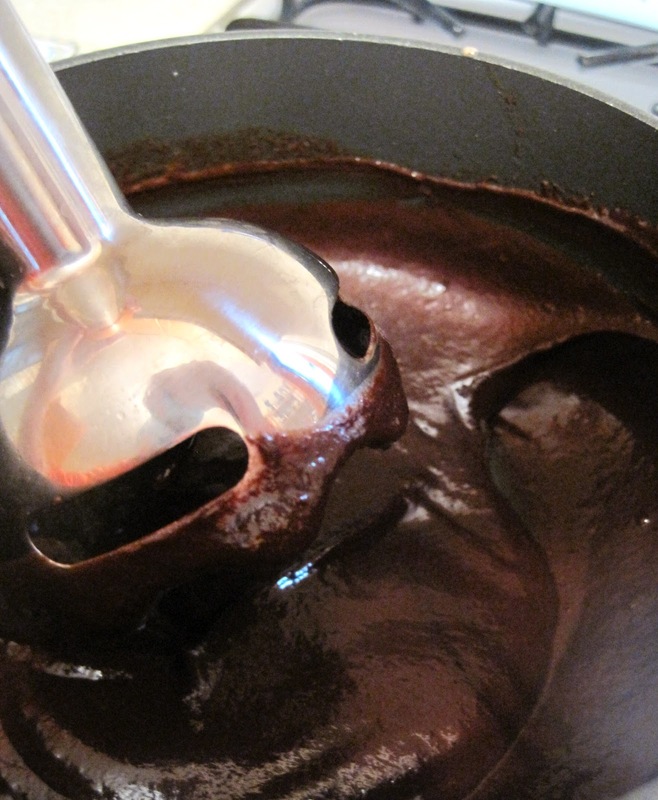 They also will chocolate enrobe the product more evenly than when performed by hand.